#Microsoft365 – If you have Office 365, you might have noticed a new Transition style = Morph. In this post I’ll show you how to use Morph to apply some really cool animations, without building all those actual animation steps. 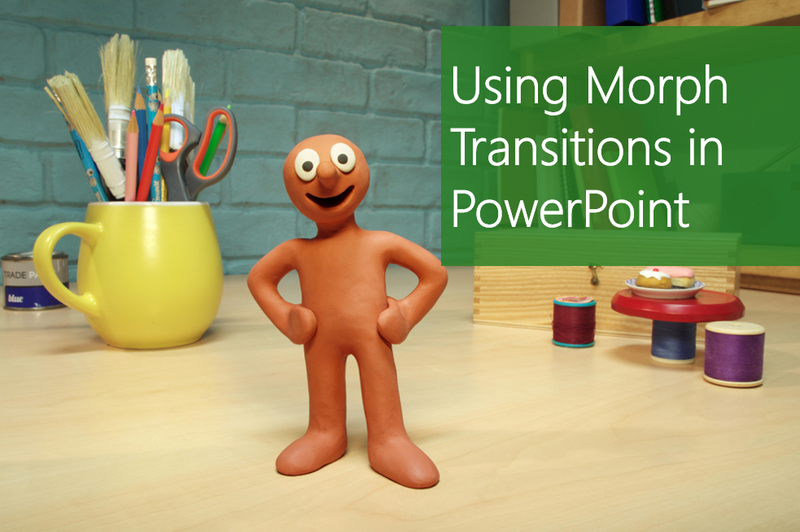 PowerPoint has a ‘new’ transition type, Morph, that can help you make smooth animations, transitions, and object movements across the slides in your presentation. You can apply the Morph transition to slides to create the appearance of movement in a wide range of objects, such as text, shapes, pictures, SmartArt, WordArt, and charts. I started with my “end state” slide, then duplicated it to have two more copies. I then changed the first and second slide objects to create the “from and to – state” animations. On slide 2 and slide 3 I added Morph Transitions. Voila!!! Note: I created this Video using PowerPoint Office Mix.